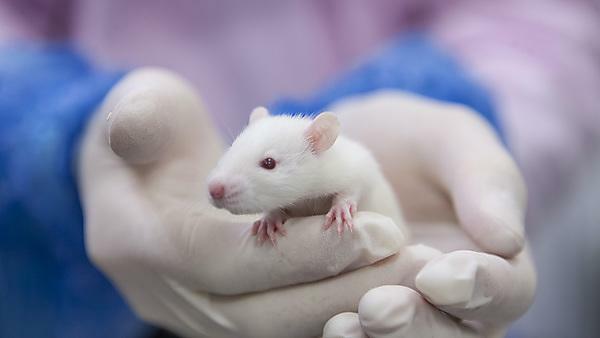 More information about the use of animals in research is available from the links below. The use of animals at Plymouth University is carried out under the strict regulations of the Animals (Scientific Procedures) Act (1986) / EU Directive 2010/63/EU, operated by the Home Office. In tandem with this we have our own regulatory structure which includes our Governance Board and Animal Welfare and Ethical Review Board. Plymouth University holds a Home Office establishment licence and all researchers are required to hold a personal licence in order to carry out any research involving animals. All such work is carried out under a specific project licence held for each individual project. We use a small number of animals - limited to rats, mice, chickens, fish and fruit flies - in a small number of research projects. The projects range from the development of cures and advancements in treatment for potential debilitating disease which have the potential to affect millions of people worldwide – including cancer, stroke, dementia, Parkinson’s Disease, Ebola, bovine TB, and others - to the protection of Man and the environment by advancement in research on the effects of chemicals in the environment and ways of remediating or preventing them ever entering the environment. We also conduct research which seeks to find sustainable feed sources for livestock and research to try and promote better welfare for domesticated animals. The use of animals is only permitted after close scrutiny shows that there are clear benefits and no alternatives. Our researchers are active in findings ways to avoid or reduce the number of animals used in research. Where animals are used they are treated with respect and the highest levels of care. We have a team of animal welfare specialists who work closely with our researchers and who provide animal welfare and care training. They in turn have 24/7 veterinary support.